Printed on medium weight paper stock, our cost effective paper stock. 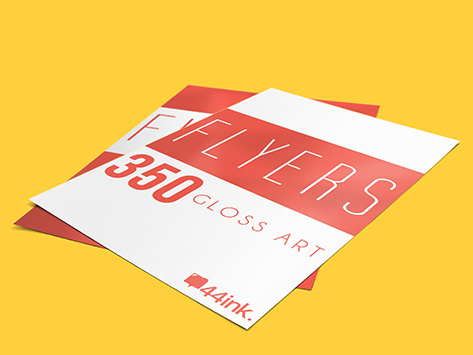 With gloss coated one side that will provide a smoother presentation than an uncoated paper, and softer than glossy paper. Gloss coated give very nice finish and professional look for marketing materials.